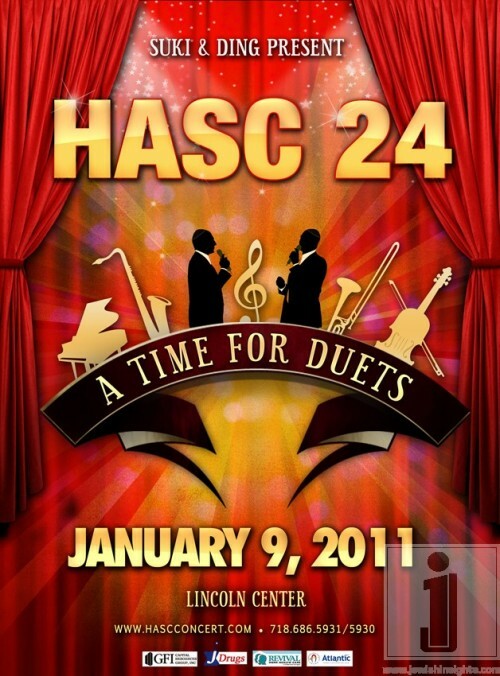 HASC 24: A Time For Duets! The HASC concert is one of the most anticipated and well established annual musical events of the year. Now entering its 24th year, the producers, Suki & Ding, present an exciting new theme! This year, HASC’s annual concert is billed as “A Time for Duets!” While no information has been released yet regarding who will be performing at this year’s new platform, they have released the initial poster with an all new original logo as well as the date and location. The concert will be held January 9th, 2011 at Lincoln Center in New York. For ticket information you can call 718-686–5931 (or 5930). Log on to HASCCONCERT.COM in the coming weeks for more information and more announcements.